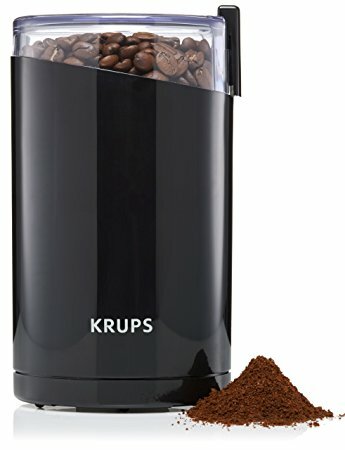 Krups Stylish designed coffee mill. Suitable for coffee beans and spices with a stainless steel bowl. It also comes with the safety lid and single speed. 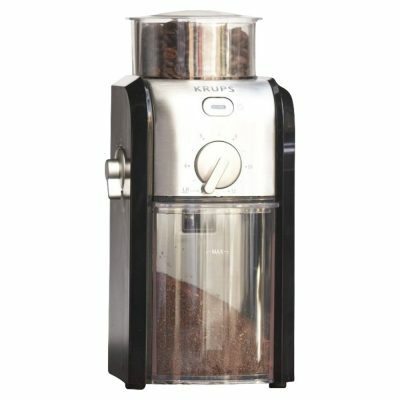 This Krups professional quality grinder thanks to 17 positions of fineness to suit all coffee makers. Burr milling system; for full aroma and flavour. 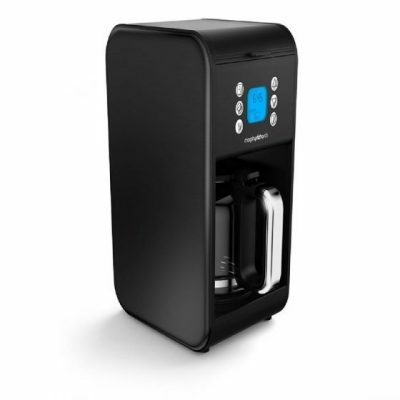 Versatile 12 Cup Filter Coffee Maker with programmable timer and Fast brew functions allowing for ease of use. Sylish black finish. Complete the Accents collection with this new pour over coffee machine. 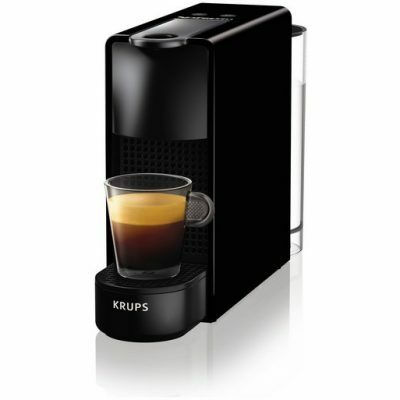 With a tiny footprint, compact, lightweight and equipped with an ergonomic handle, the Nespresso Inissia is a smart little coffee machine to make your life easier. Inissia is available in a full palette of colours to satisfy all tastes. 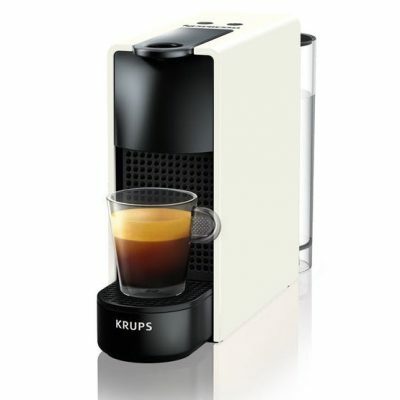 This compact coffee machine from Nespresso comes in a stylish white with 19 bar pressure for excellent bodied coffee. 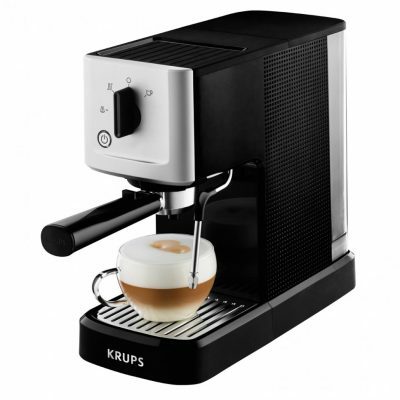 Indulge in creamy espressos with the Krups Calvi Steam & Pump Espresso Machine. Create that perfect espresso every time thanks to the patented Krups "tamping system." 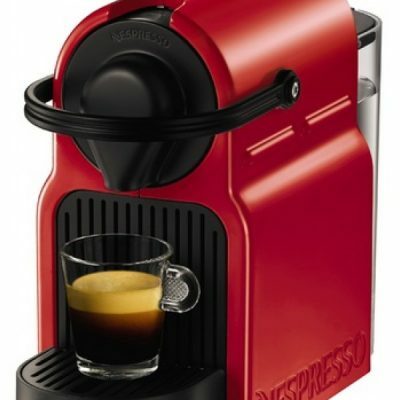 Featuring an elegant stainless steel and black finish, this pump espresso machine heats up in less than a minute, the special steam nozzle will froth up milk making it the perfect accompaniment to your coffee. 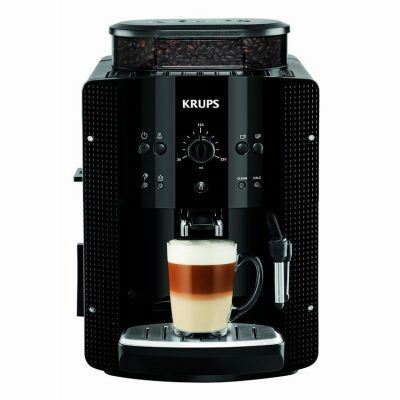 Great for creating professional tasting coffee from the comfort of your home, the Espresseria from Krups is an automatic bean to cup coffee machine with a 15 bar pressure and steam arm and frother functions. It has a large 1.8 litre water capacity and features automatic rinsing, cleaning and de-scaling programmes, so the hard part is done for you.